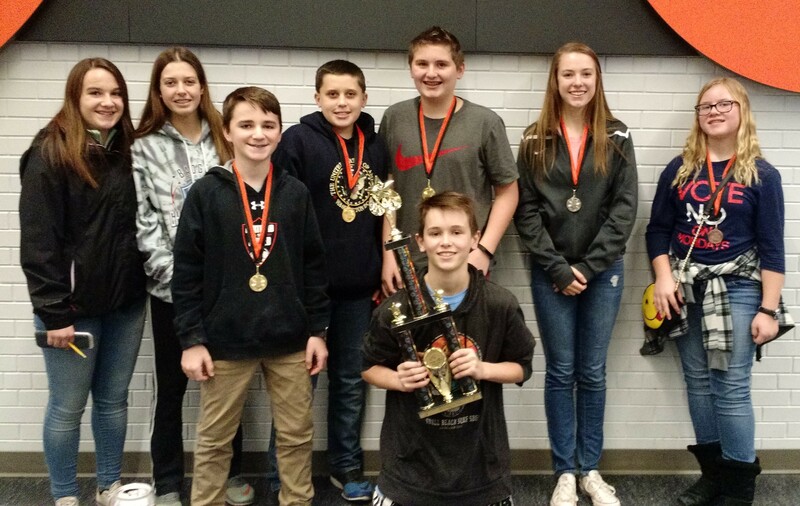 Congratulations to all of the Erin Middle School students who participated in the Hartford Union High School Math Meet. Over 300 students participated, with 36 students representing Erin. Students took time on their day off on Monday, January 23rd, to participate in the event that tested them on individual and team challenges in their math logic, geometry, and algebra skills. Amber Rose, 6th grade, took an award for 3rd place overall individual score. Noelle Herrmann, 7th grade, took 2nd place overall individual score. Ethan Brehmer, Logan Maliszko and Josh Weiss all tied for 1st place individual score in 8th grade. The 8th grade team of Alek Anderson, Ethan Brehmer, Logan Maliszko, Olivia Otto, Leah Weiss and Josh Weiss earned 1st place! Thank you to all who participated and congratulations to those who placed in the event!